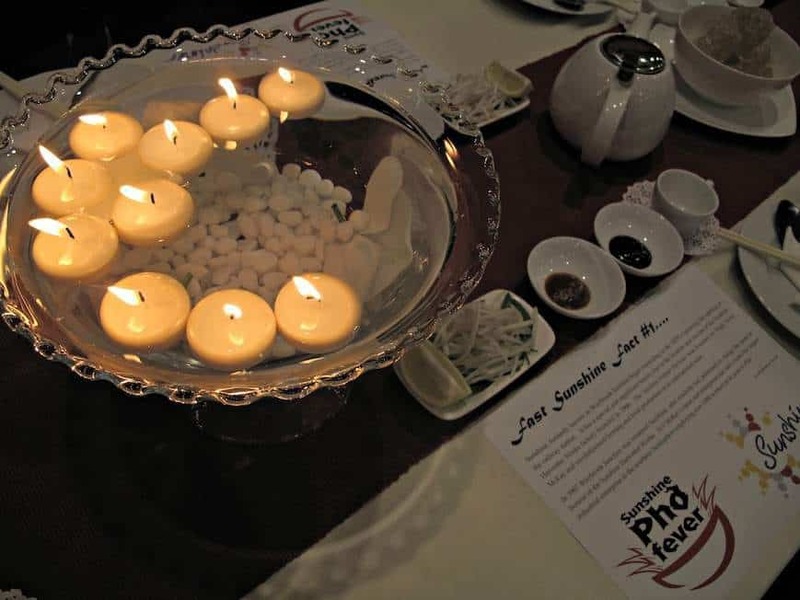 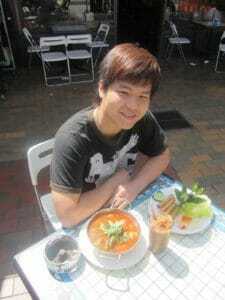 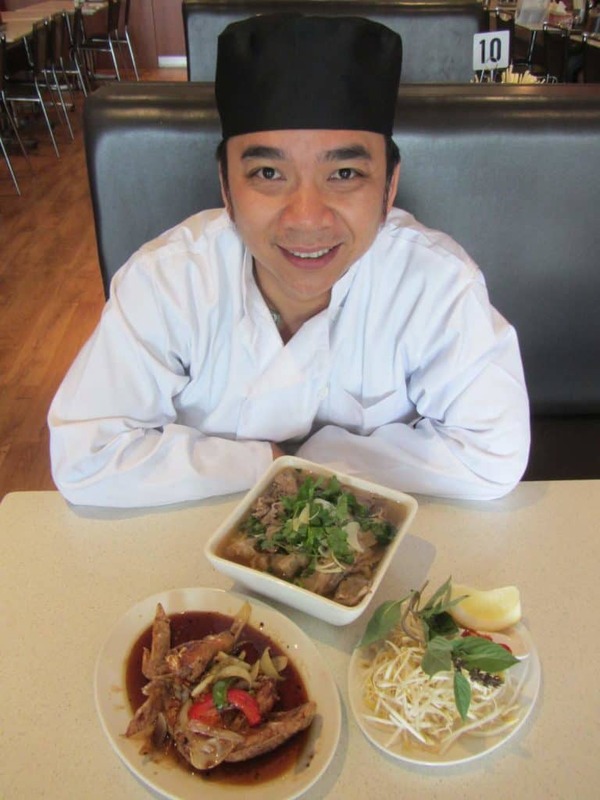 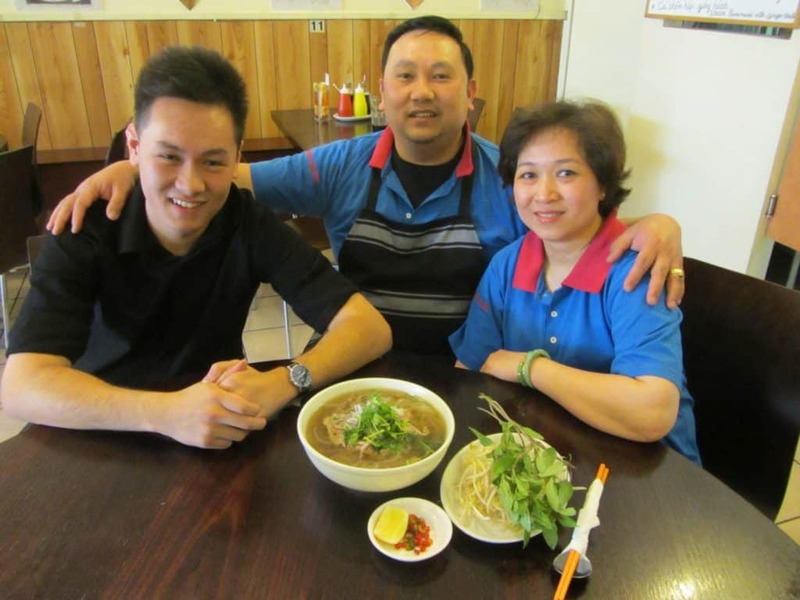 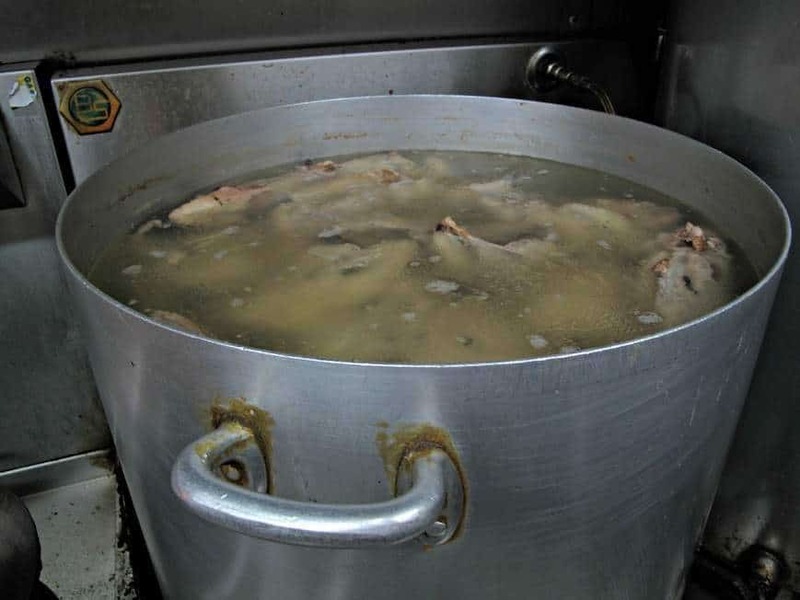 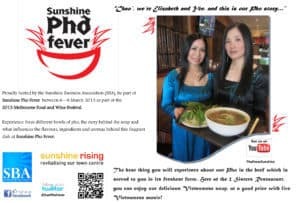 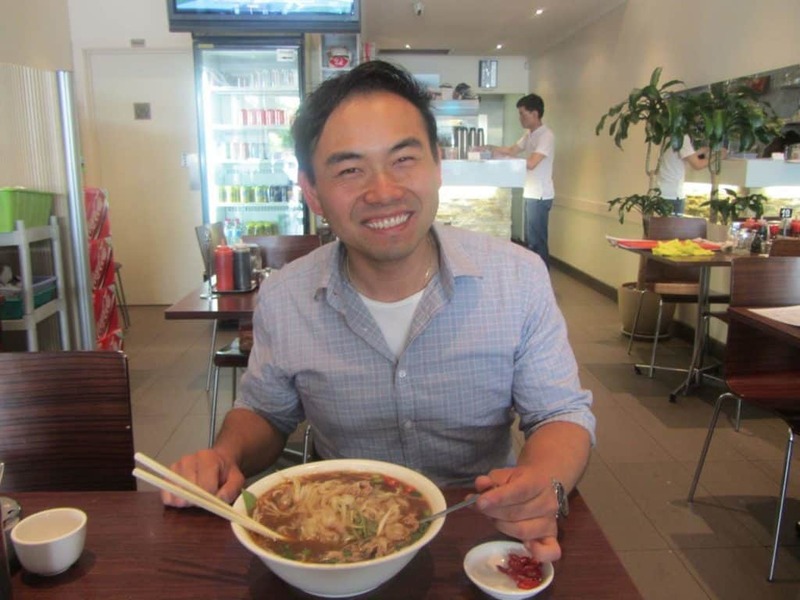 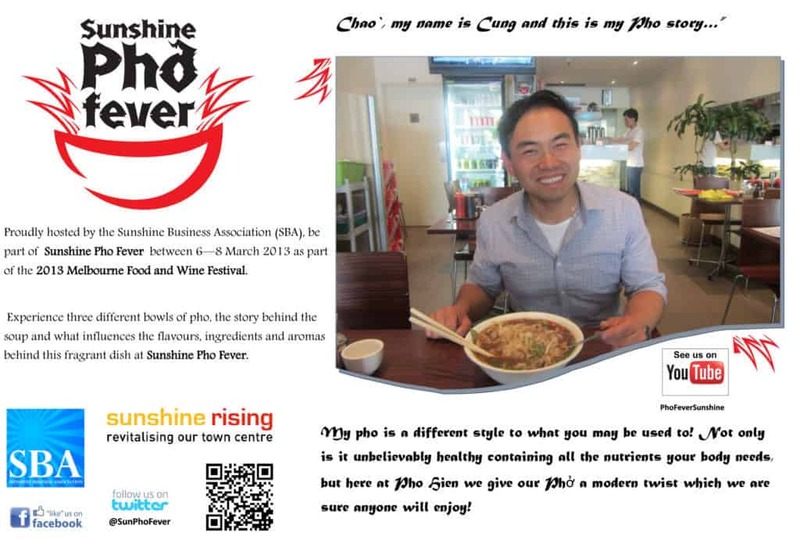 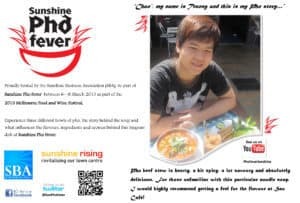 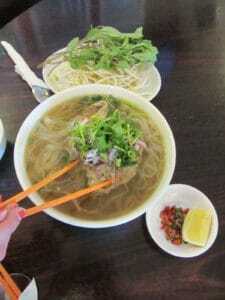 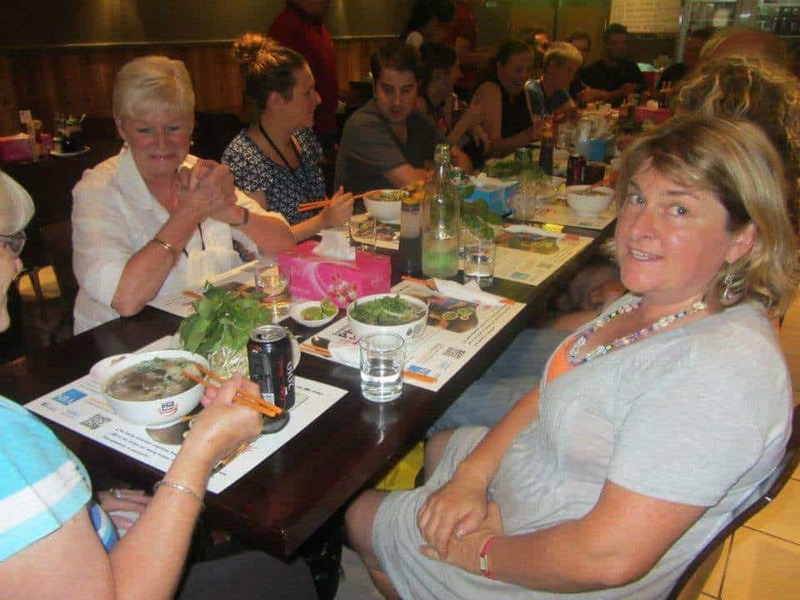 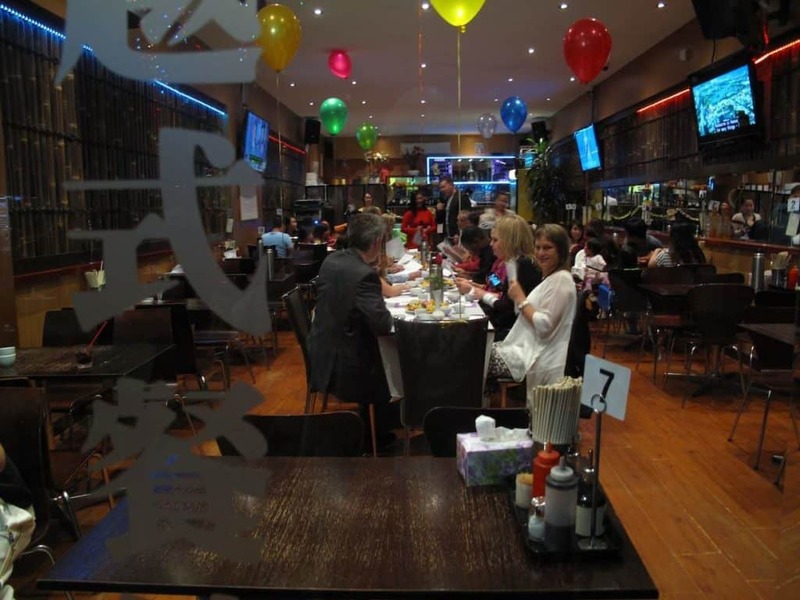 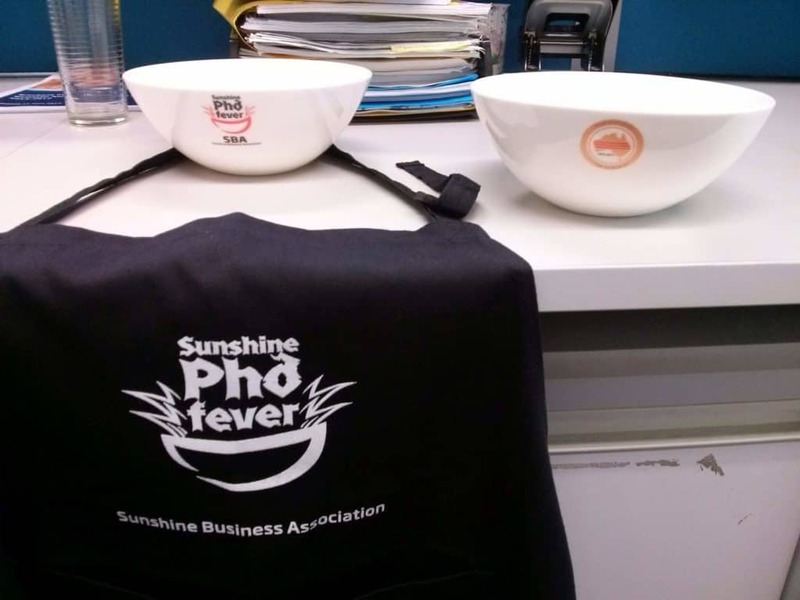 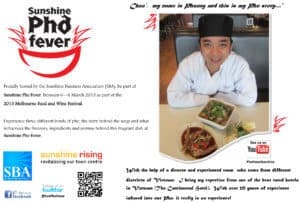 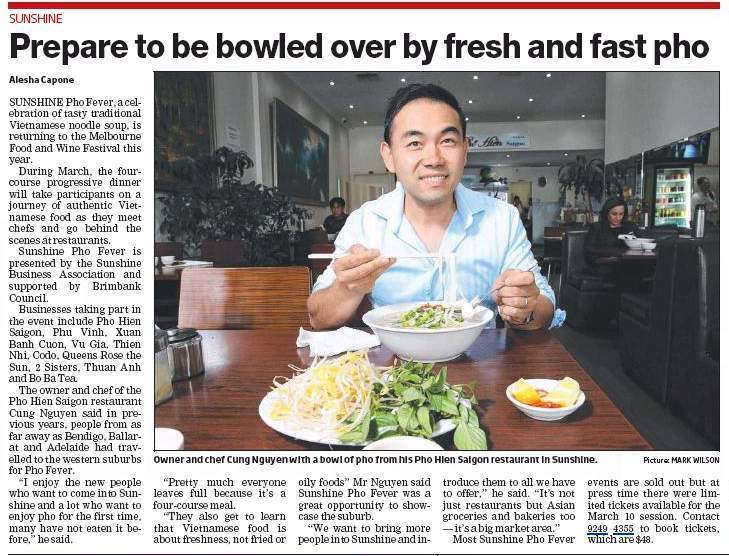 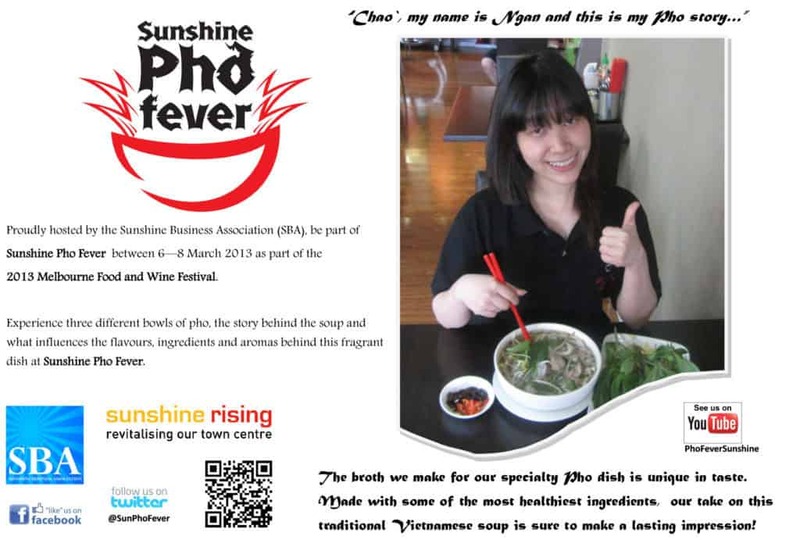 Sunshine FOOD Fever began in 2013 as Sunshine PHO Fever with 6 restaurants and 126 guests over 3 nights. The restaurants participating in the 1st year were: 2 Sisters, Pho Hien, Phu Vinh, Queens Rose the Sun, Sao Café and Thuan An. 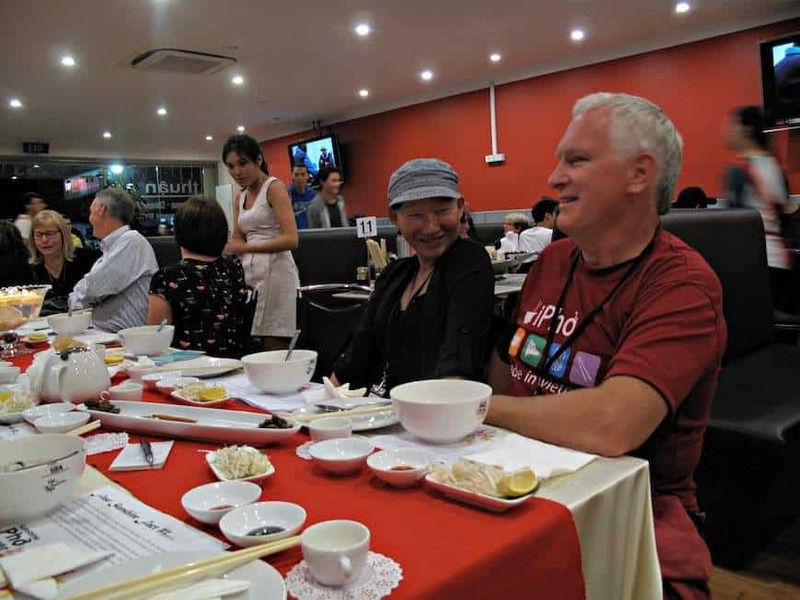 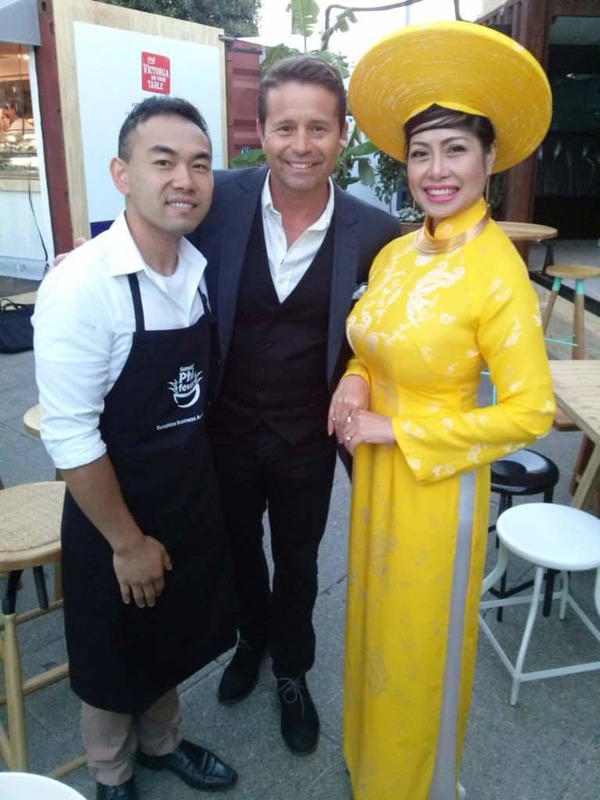 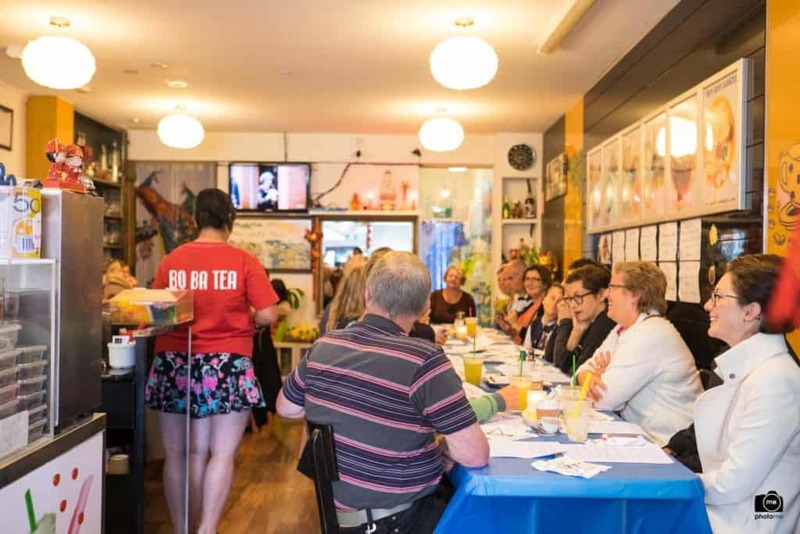 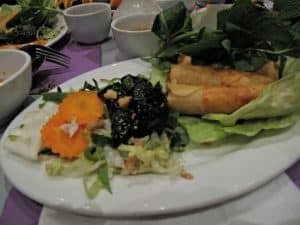 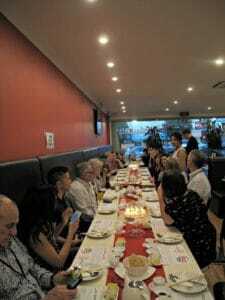 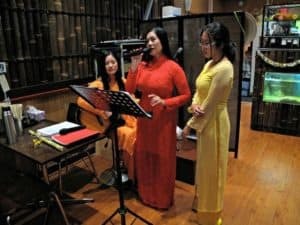 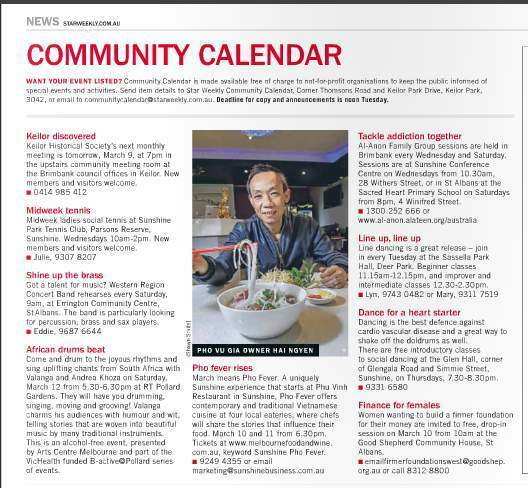 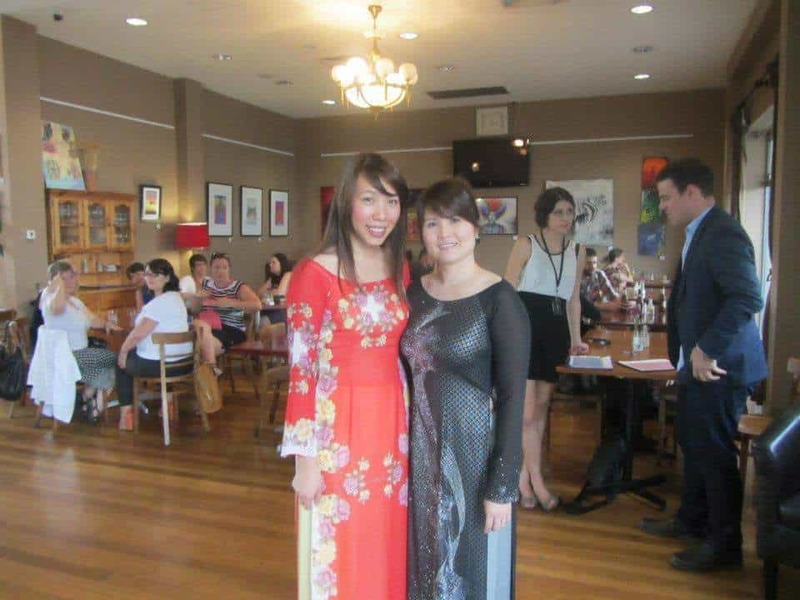 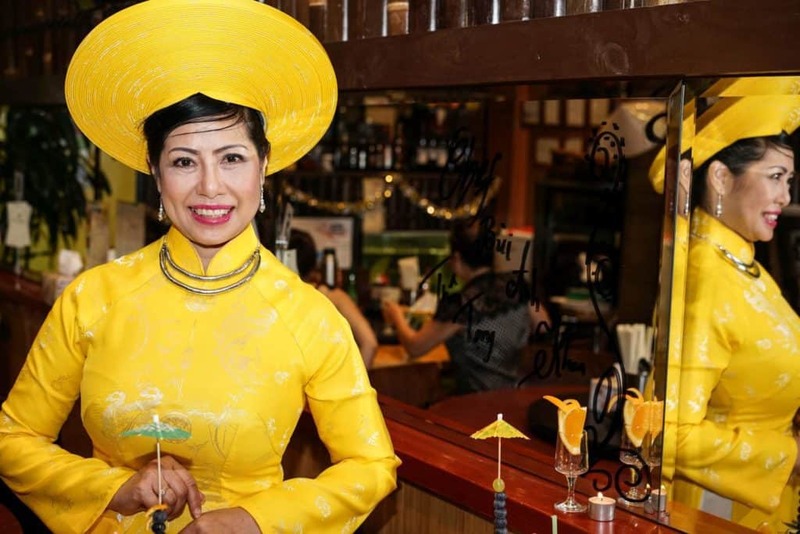 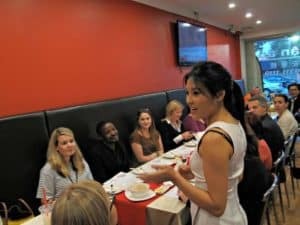 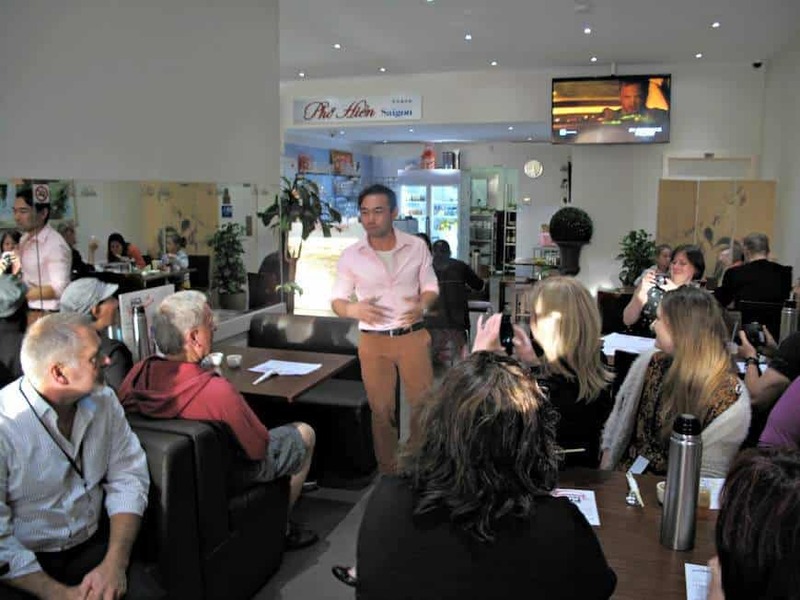 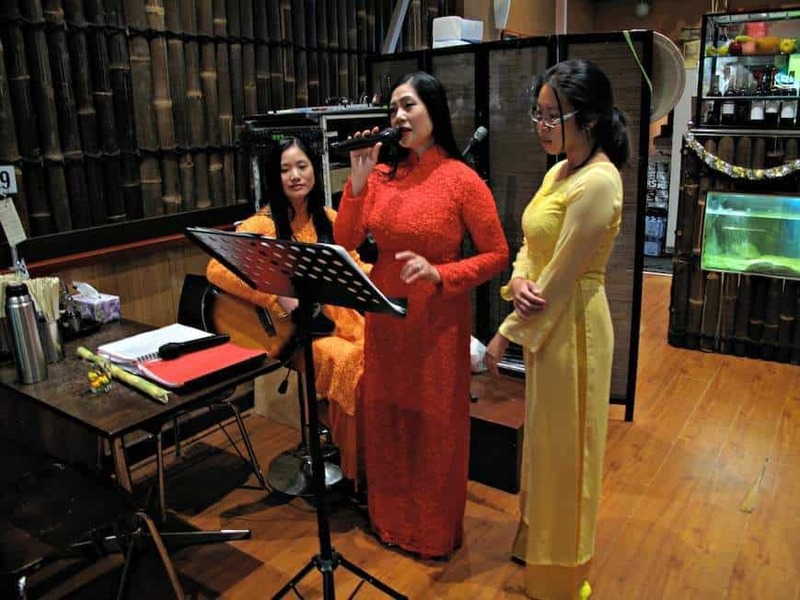 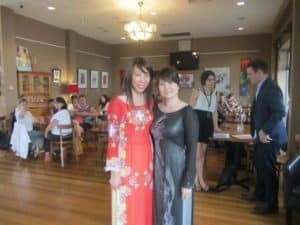 A sell out event, guests were welcomed by volunteer Sunshine business owners, a red carpet and restaurant owners in traditional Vietnamese dress and food. 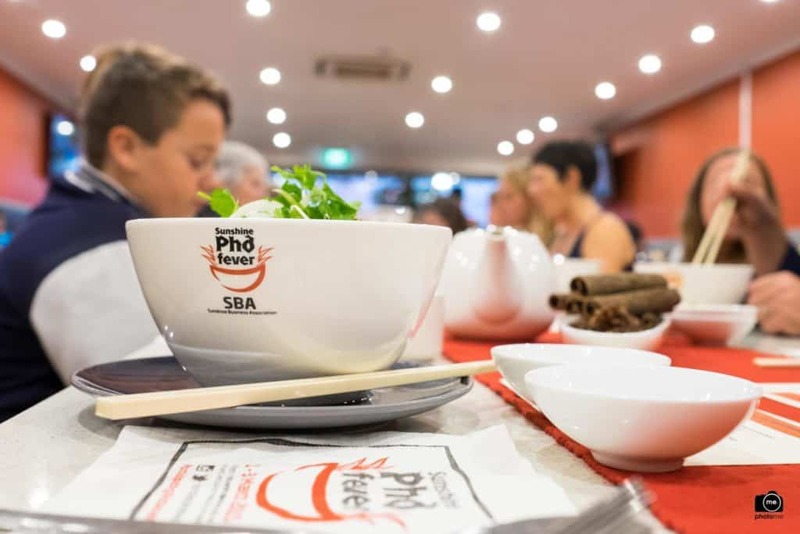 2014 included 2 new restaurants - Bo Ba Tea, Pho Lau Kim Long and went for 4 separate evenings where guests ‘restaurant-hopped’ across four restaurants and experienced two different bowls of pho and two Vietnamese drinks (non-alcoholic); hearing the stories behind each soup and what influenced the flavours, ingredients and aromas behind these fragrant dishes. 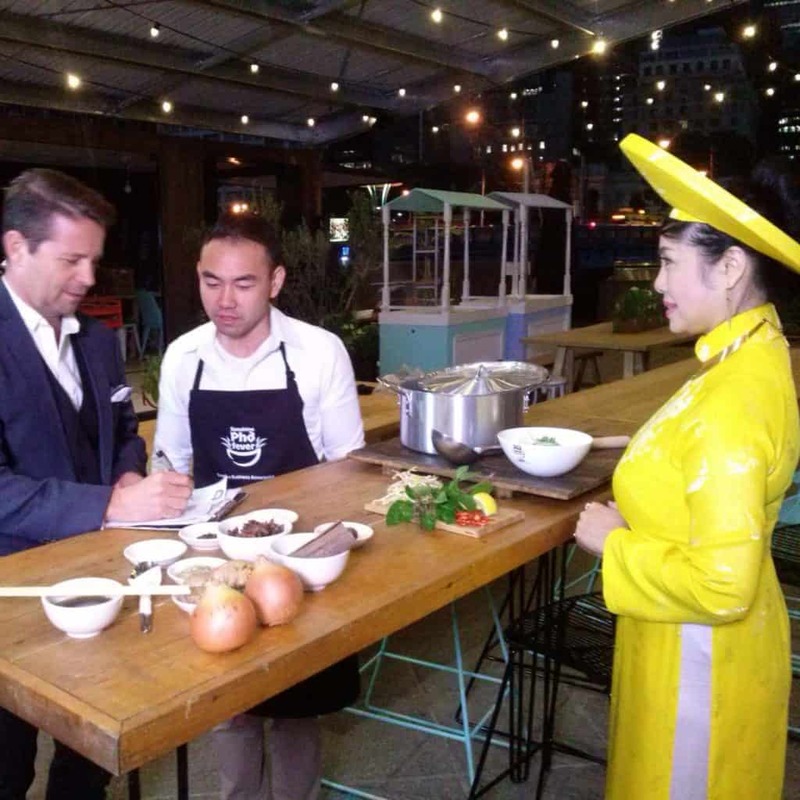 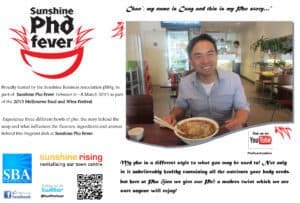 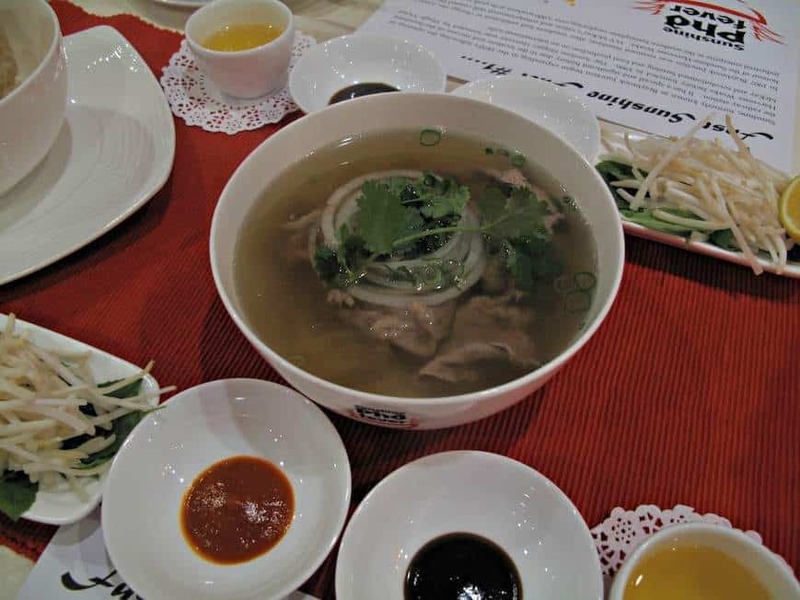 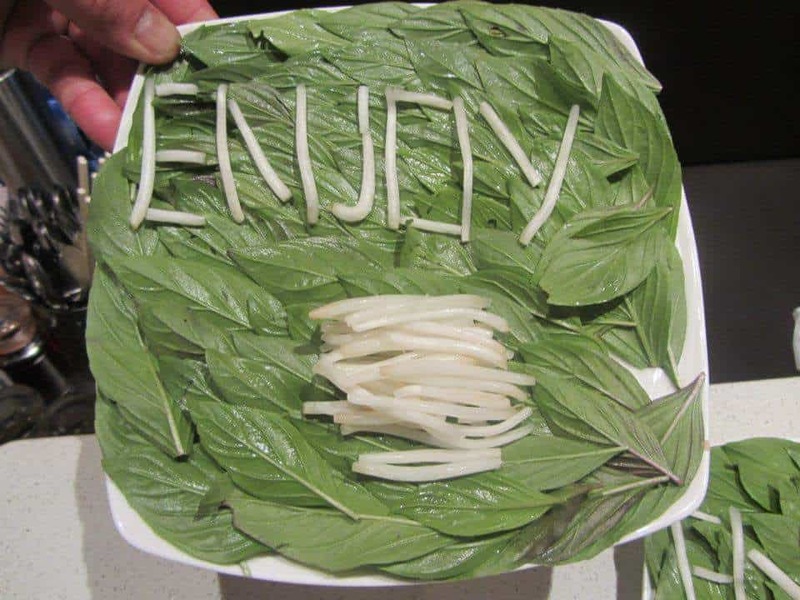 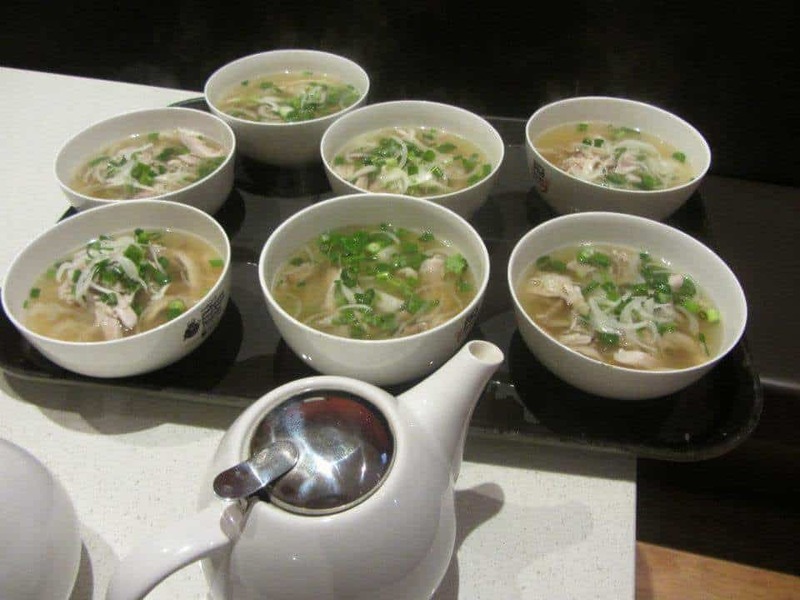 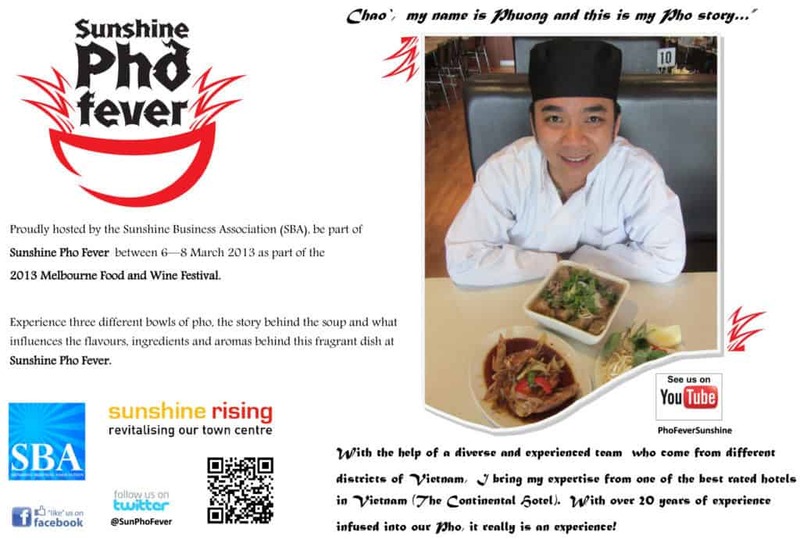 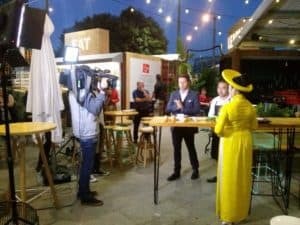 In 2015, Sunshine Pho Fever was held across three nights and again part of the Melbourne Food and Wine Festival. 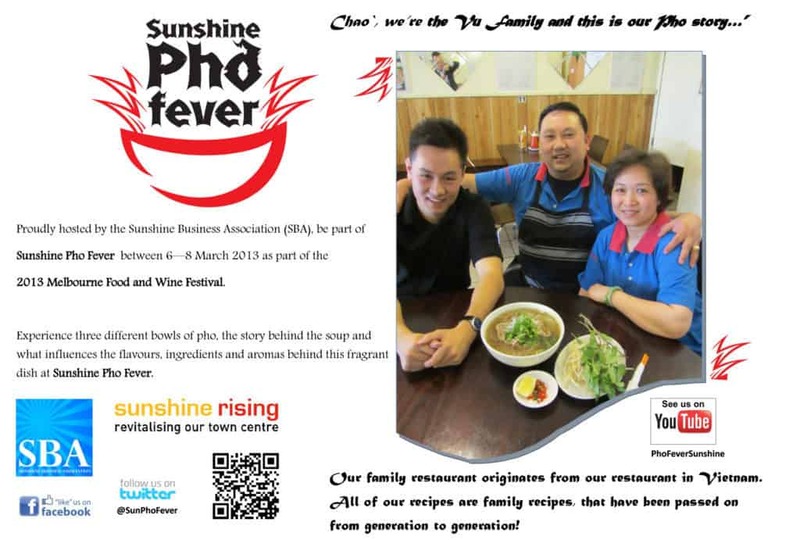 Celebrating 40 years of Vietnamese settlement in Australia and Sunshine, Sunshine Pho Fever was the ultimate Vietnamese progressive dinner, offering authentic juices, soups, sweets, savouries and street food across various Vietnamese provinces, meeting the chefs and hearing the stories behind their food and culture. 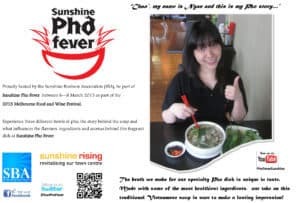 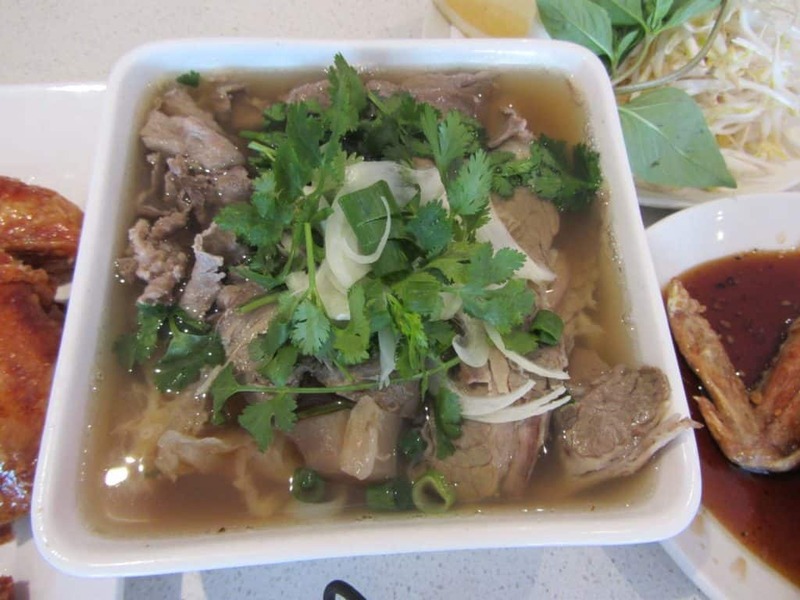 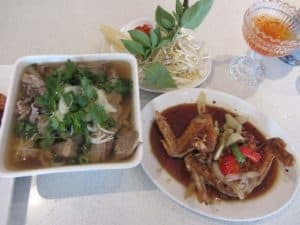 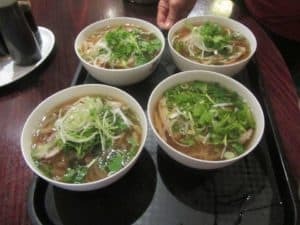 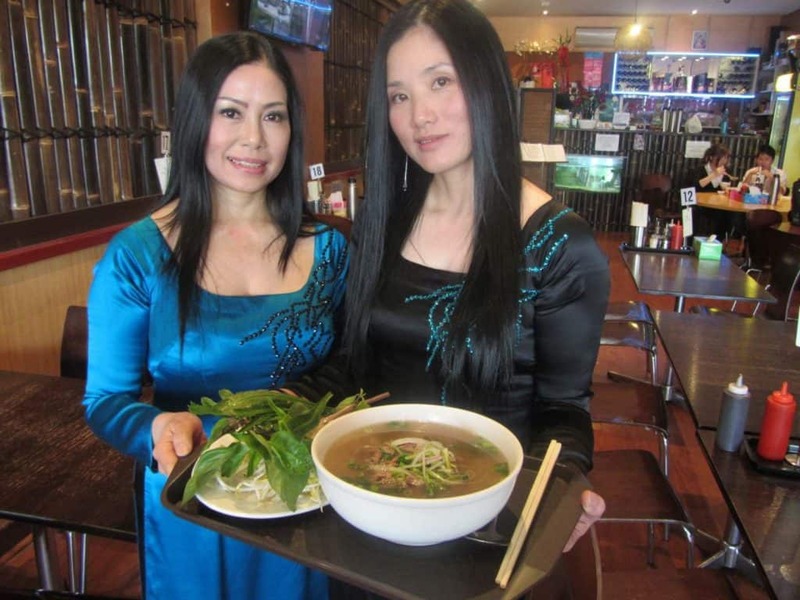 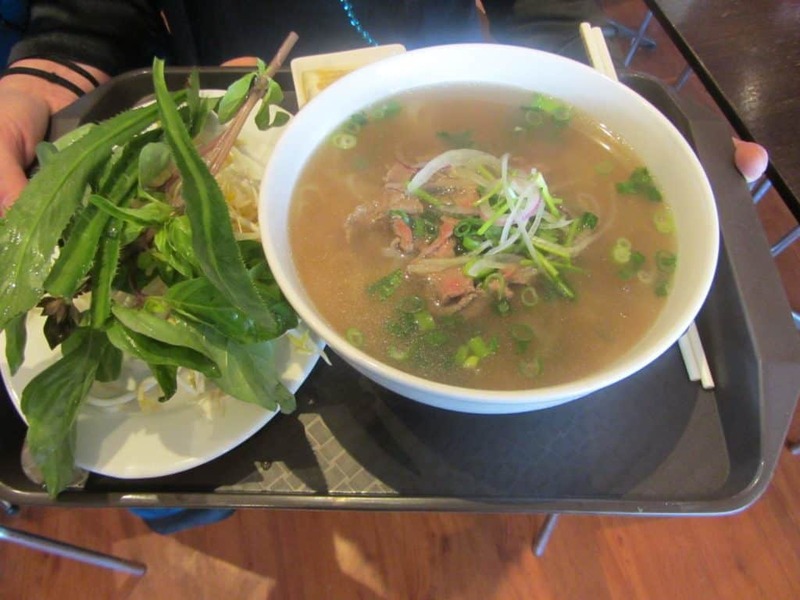 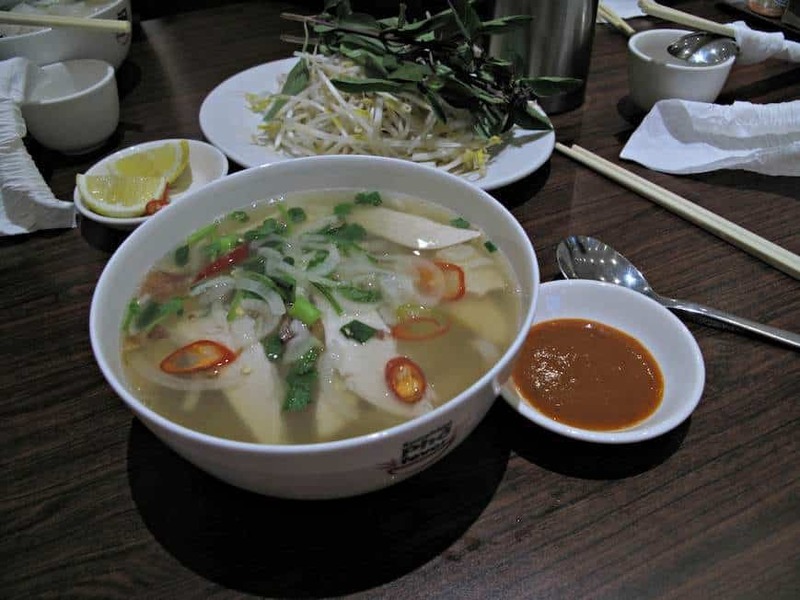 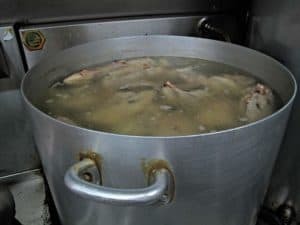 10 restaurants participated with newcomers Xuan Banh Cuon, Vu Gia, Thien Nhi and Co Do - making it the biggest Sunshine PHO Fever. 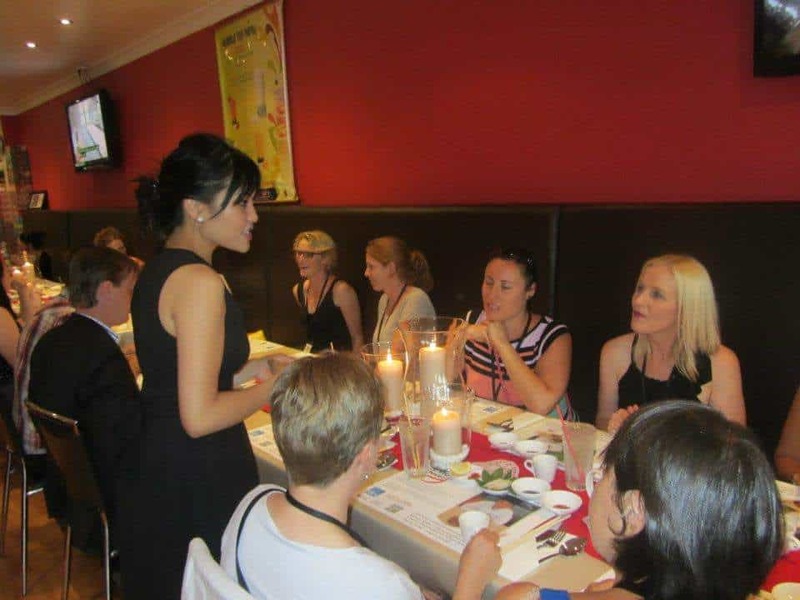 2016 saw 138 guests attending over 4 nights with 2 tours each night visiting 4 restaurants at a time, experiencing a four-course progressive dinner of Vietnamese food and meeting the chefs at each. Over the 4 years people have come from all over including not just Sunshine but further afield - Bendigo, Ballarat, Toorak, Adelaide, Albany WA and even Austin Texas just to name a few.